Intel has announced it will lay off one in 10 of its workers as a direct result of the declining PC market. This amounts to 12,000 employees by mid-2017 as the company shifts away from the declining PC market towards the cloud and connected devices. “It’s about driving long-term change to further establish Intel as the leader for the smart, connected world,” explained Intel CEO Brian Krzanich in an email to staff. 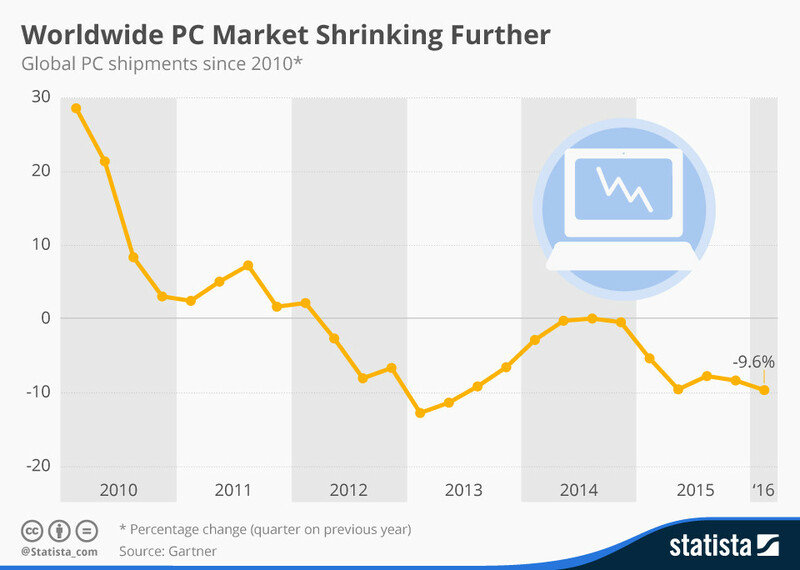 So what has happened to the PC market? As this chart from Statista outlines, the market has been shrinking since early 2012. Although 60 million PCs were sold in the first quarter of this year, that’s a decline of nearly 10% compared to the same quarter last year. Gartner, the market researcher behind the data, explained there are several potential factors behind the decline. 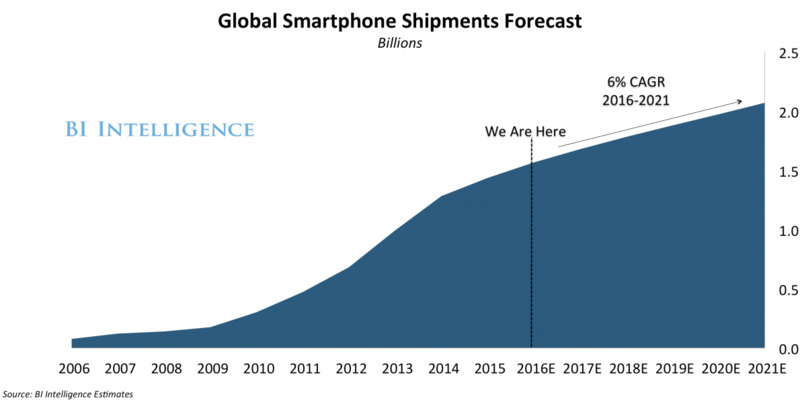 Smartphone sales have exploded around the world since 2006. From lowly beginnings, this chart from Business Insider highlights the rise to shipments exceeding 1.5 billion last year. 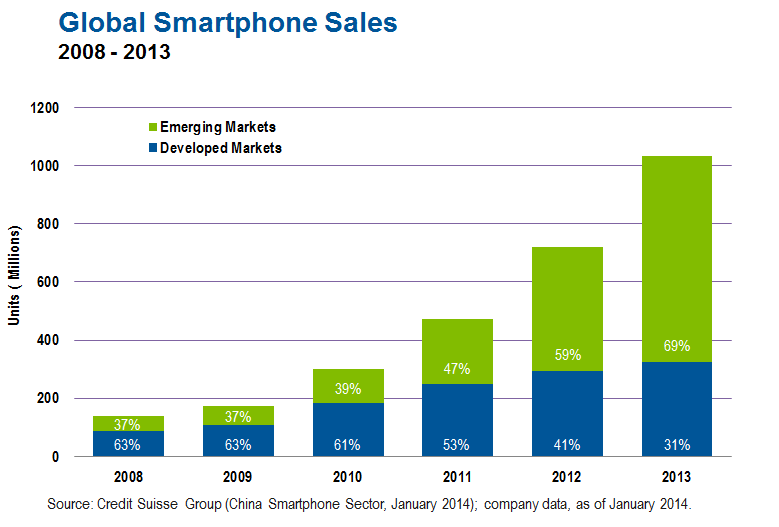 Emerging-market sales have represented the majority of global sales since 2012. 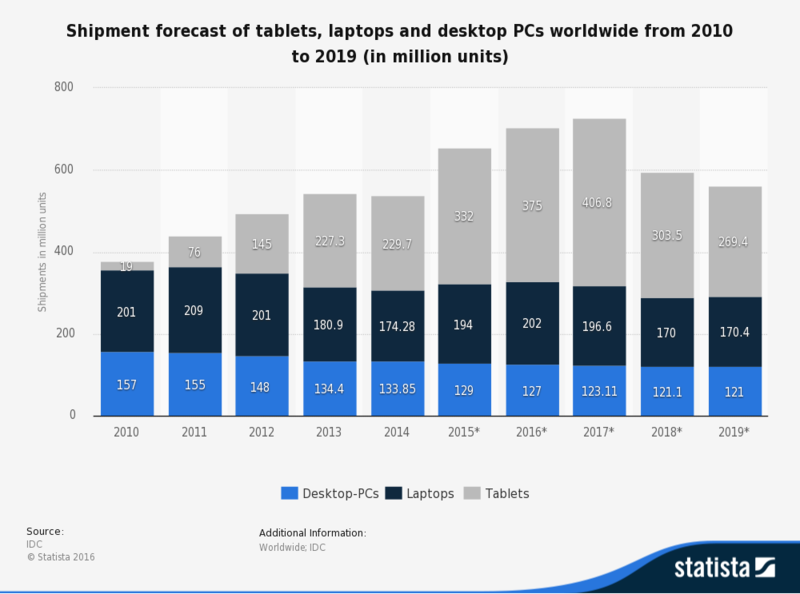 Tablets have also played a significant role in the move away from PCs. This chart gives an insight into the decline in PC sales relative to the rise in tablets. The market for tablets in 2010 was just 5% of units shipped. However, by 2014 tablets accounted for over 40% of the total market.